So you want a teleport cheat? This can be tricky but try this trim down cheat table. When you activate the script, manually set the waypoint again so the script has the values. After you've hit the hotkey you have to take a step before it kicks in. Start with 0, then if you fall through the map, set it to 0.5 and hit the hotkey again, then if you fail again go to 1.0, 1.5, 2.0 you get the idea. Don't worry about dying, if you've noticed you went under/over the map, you have time to hit the hotkey to go to your last saved location. Turn your "HUD Size" to "Large"
Turn your "Control Hints" to "Off"
Thats really it, then activate the script and check "Hide HUD", hit tab to enter that screen with the wheel on it, and when you leave that screen your HUD should dissapear, to make it reappear just simply uncheck "Hide HUD", go back to the wheel screen, get out, and you should have your HUD back. At this point if you want to change your "HUD Size" back to small, you can. Warning on using "Toggle HUD (No Steps)" - only problem with this is a LOT of things start to dissapear, so be warned. What are these Cheat Files and How can I use it? These cheats uses cheat engine. A program that alter the game during your playtime (non-tech explanation). You don’t need to Install Cheat Engine just download the “No Setup Version Here http://www.cheatengine.org/download/cheatengine64_NoSetup.rar”. Extract the rar file and go to the folder and open Cheat Engine. 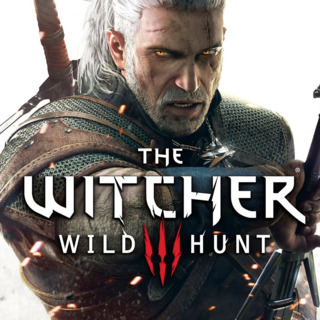 Go back to The Witcher 3 Game, try out the cheats you enable. More Tricks & Tips: Are you Stuck at level 70 and want to start over?